We’ve made it through Christmas, and we are sprinting straight into yet another three day weekend for the New Year celebration! 2017 has been filled with mountains of amazing new music and artists, and unfortunately we said goodbye to some timeless talents that will never be forgotten. SiriusXM Music for Business hopes to properly help you all celebrate life this year with a fantastic selection of New Year’s Eve Live Concerts to ring in 2018. Whether you’re spending the night on the town, blowing noisemakers at a house party, or spending a romantic evening at home, SiriusXM has your experience covered! For the Up-Tempo Dance Party of the Year, Electric Area (CH 52) will be broadcasting the New Year’s Eve Countdown featuring DIPLO on the decks live! This live music for business broadcast will begin at 5:00pm ET, and replay promptly as the ball drops at 12:00am Monday morning. 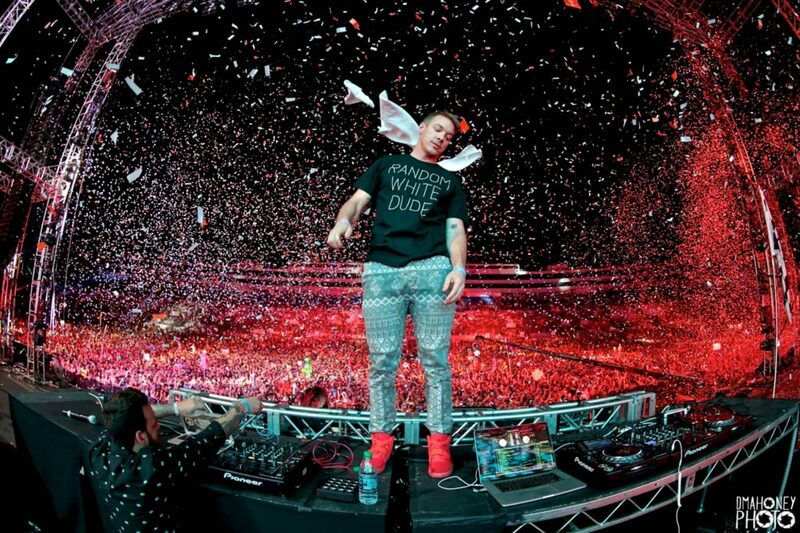 DIPLO always brings the smash hits remixed into the best new dance floor bangers on the airwaves. If you want your business to bounce this New Year’s Eve, Electric Area (CH 52) is the way to go into 2018! 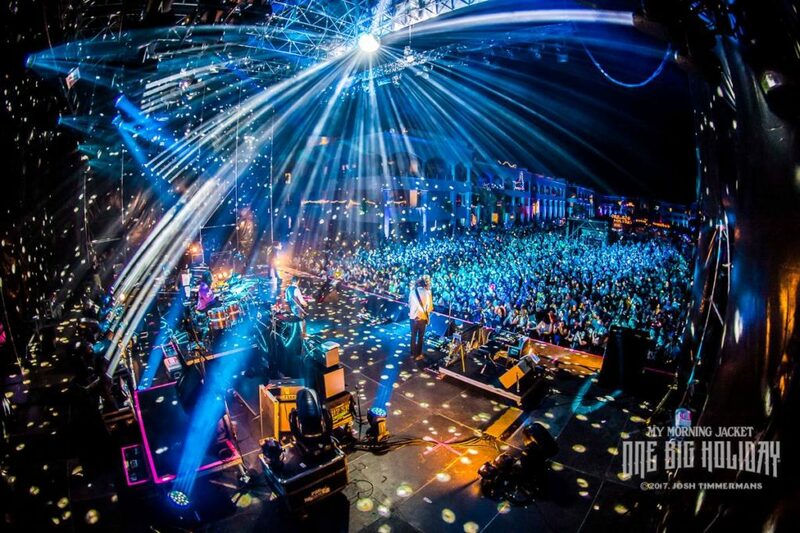 Jam Band junkies get all the positive vibes broadcasted live by PHISH on Jam On (CH 29) this year. Hippies young and old can tune into the PHISH show live at 8:00pm ET. Tune in and drop out with guitarist and lead vocalist Trey Anastasio, bassist and vocalist Mike Gordon, drummer and vocalist Jon Fishman, and keyboardist and vocalist Page McConnell all night long. PHISH is one of the world’s leading psychadelic progressive rock bands, and always promises to keep the groove flowing. Classic Rock & Roll fans will be ecstatic to hear Southside Johnny playing live on E-Street Radio (CH 20) into 2018. The Grandfather of the New Jersey sound will be kicking off the New Year’s Eve extravaganza at 10:30pm ET, and will also be replayed on Monday at 12:00pm ET for a proper Happy New Year! Jon Bon Jovi himself has noted Southside Johnny as “his reason for singing”, and any Classic Rock style venue will find themselves drowning in sing along fanfare with E-Street Radio (CH 20) on the speakers this New Year. Get your fins out America, because Jimmy Buffett will be broadcasting a live New Year’s Eve concert on Radio Margaritaville (CH 24) this year! Every faithful Parrothead can get a greasy Cheeseburger in Paradise starting 11:00pm ET on New Year’s Eve, and let the Margaritas flow. 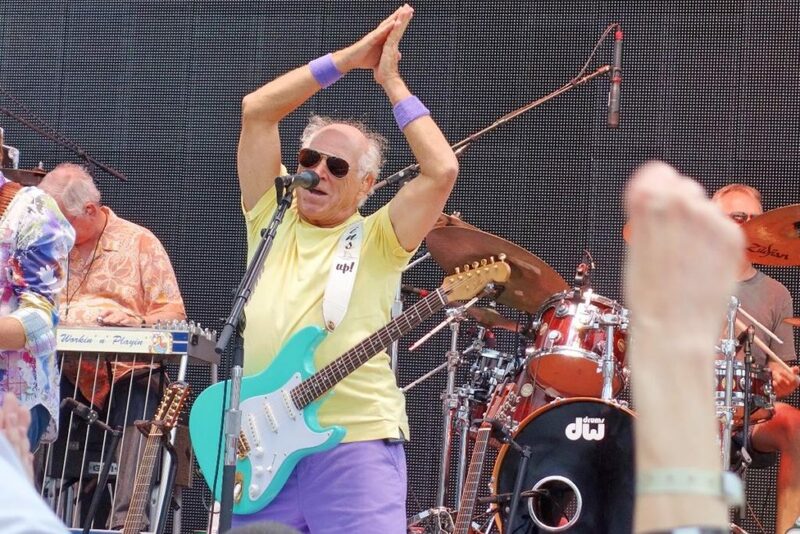 Jimmy Buffett and his Coral Reefer Band never fail to turn even the coldest winter’s night into a tropical vacation. Make sure your business remembers it’s always 5 o’clock somewhere. Country music fans can spend New Year’s Eve with one of America’s most iconic singer/songwriters, Willie Nelson! Give the country crowd a big dose of this lovable outlaw starting at 1:00am ET Monday morning on Willie’s Roadhouse (CH 59). Willie Nelson is best known for his “smokey” exterior, classic Outlaw Country tunes, and some of the best one-liner jokes you’ll ever hear in a lifetime. Keep it Country this New Year on Willies Roadhouse (CH 59)! Need a more contemporary Rock & Roll injection this New Year’s Eve? Then tune in to Octane (CH 37) for a live concert with Jane’s Addiciton! Join Perry Farrell (vocals), Dave Navarro (guitar), Stephen Perkins (drums) and Chris Chaney (bass) as they rip into 2018, starting at 1:30am ET Monday morning and replaying again at 9:00am ET. Jane’s Addiciton has been nominated to be immortalized in the Rock & Roll Hall of Fame, and shredding the Alternative Rock category since 1990. Throw your horns in the air and turn it up to 11 for tunes like “Been Caught Stealing” and “STOP!”. Jam On (CH 29) has an extensive list of live concerts for both New Year’s Eve and New Year’s Day 2018. Following the PHISH live event, My Morning Jacket will take the stage for a live broadcast on SiriusXM Music for Business at 1:30am ET. Vocalist/guitarist Jim James, bassist Tom Blankenship, drummer Patrick Hallahan, guitarist Carl Broemel, and keyboardist Bo Koster will be manning the hippie-helm for the late night party-goers. This Psychadelic Rock Band from Louisville, Kentucky has been a massive hit since their formation in 1998. My Morning Jacket’s Rock & Country roots have cut a very nice niche for them within the progressive rock live performance sector, and Jam fans are guaranteed to appreciate this performance on your sound system. A live concert performed by The Revivalists will take over Jam On (CH 29), starting at 10:00am ET. This newer 7-Piece Rock Ensemble from Louisiana was named by Rolling Stone Magaize as one of the “10 Bands You Need to Know” in 2016, and has been killing the live performance circuit across the country ever since. Shortly after The Revivalists, Widespread Panic! begins a live concert broadcast on Jam On (CH 29) at 12:00pm ET. This Southern Progressive Blues-Rock Band has been touring the nation and world since their formation in 1986. Widespread Panic currently holds the record for Number of Sold-Out Performances at Red Rocks Amphitheater in Colorado and Philips Arena in Georgia. Their unique style of Southern Rock Psychadelica is a must hear for any contemporary jam band enthusiast. How Does Licensed Music for Business Pay Musicians?